High degree of flexibility: just a few minutes to change the format. Extreme versatility enables a range of different types of packaging to be produced. High productivity: up to 60 packages/min. with resistant, uniform, well-proportioned seals. Ermetic Box structure: the structure in the form of a case and construction materials used (AISI 304 and anticorodal aluminium) guarantee protection of the mechanical and electronic components from the external environment. Moreover, cleaning operations are simple and quick. Man-machine interface through an LCD colour touch screen panel. Extremely simple and easy to follow software programming. Intermittent sealing system using special alloy crimpers. 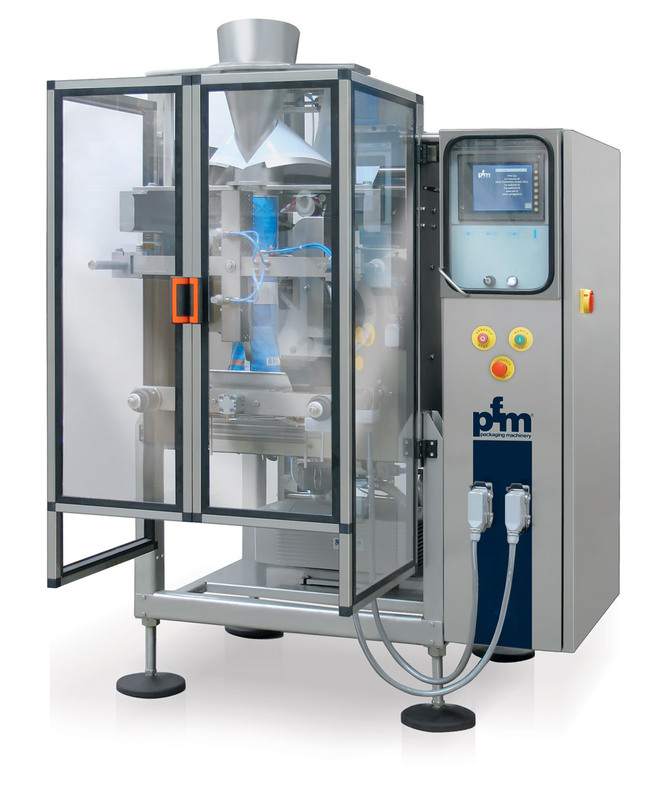 System for pulling film which uses a highly-adherent motorised roller.